Use of the term stress has become common place. We shrug it off when someone looses their cool, is forgetful or has a headache. Oh, you’re just stressed. We experience stress in our daily lives in traffic, at work, in relationships and at home or school. 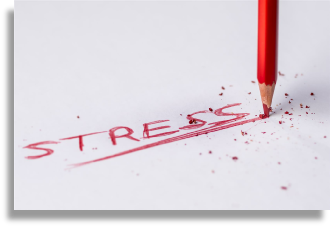 Stress interrupts cognitive processing involved with focus and attention, perception and memory, as well as on logical reasoning and rational decision-making. Emotions are key to our degree of stress; feelings of frustration, hopelessness, distrust or rejection are often associated with stress. It’s our emotions or how we feel and react to a situation that can cause a physiological stress response to go coursing through our bodies. These same negative emotions can inhibit mental functioning, deplete energy and disrupt our physiology and long-term health. 60-80% of primary care doctor visits are related to stress issues. Yet less than 3% of their patients receive stress management support or training. Continual stress is now a global problem, so it is more imperative than ever, that individuals understand and learn effective strategies for reducing and transforming their stress. Harmony Factor currently offers workshops for adults and children ages six through nine, to develop skills and teach techniques aimed at dealing with stress “in-the-moment” as it occurs. Each course offers heart-focused scientifically proven stress management techniques. The beauty of these techniques is that they are simple, easy to learn and can be used at any time anywhere. The courses are designed to educate over time so the techniques can be integrated into one’s lifestyle. Each day builds upon the previous one. Courses are experiential and employ a variety of techniques to engage students and address all learning styles. Certified HeartMath HRV Practitioner, Stress Management and Biofeedback Specialist with a Master’s degree in Organization Development. Loraine has over 17 years experience leading small groups.